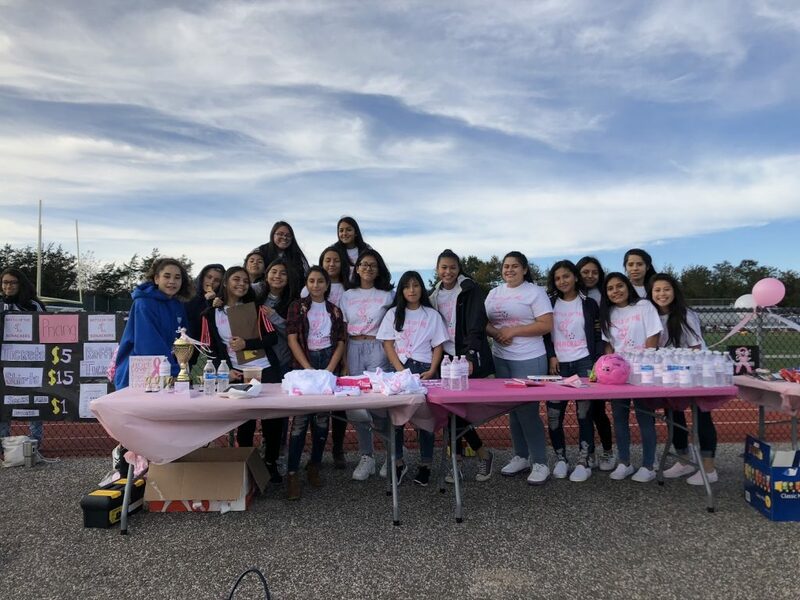 We had our Varsity, JV and MS soccer teams involved in this fundraiser. That is a total of 68 players! On the day of the event, the girls spent 2 hours setting up and preparing for it and 1.5 hours running it. They also invested time prior to the event day creating posters, organizing the plans for the event, and delegating responsibilities. 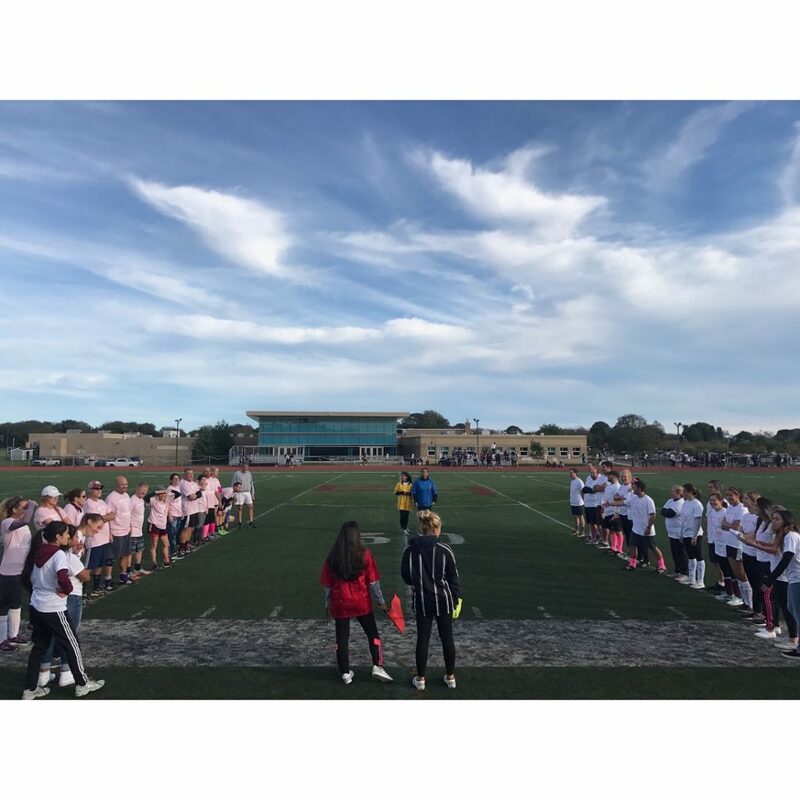 Our players ran the whole event that we held at our school on Tuesday, October 16. The girls decorated the field and concession stands before the event started. Every player volunteered to fill a role for our event. 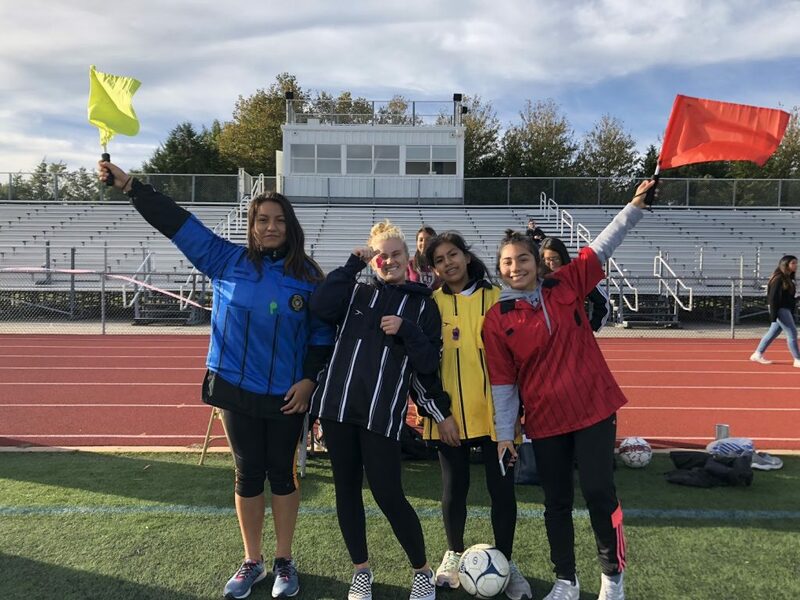 Some girls were coaches for the teacher teams, some girls were referees for the game, some girls were play-by-play announcers, others sold entrance tickets, raffles tickets, and concessions. 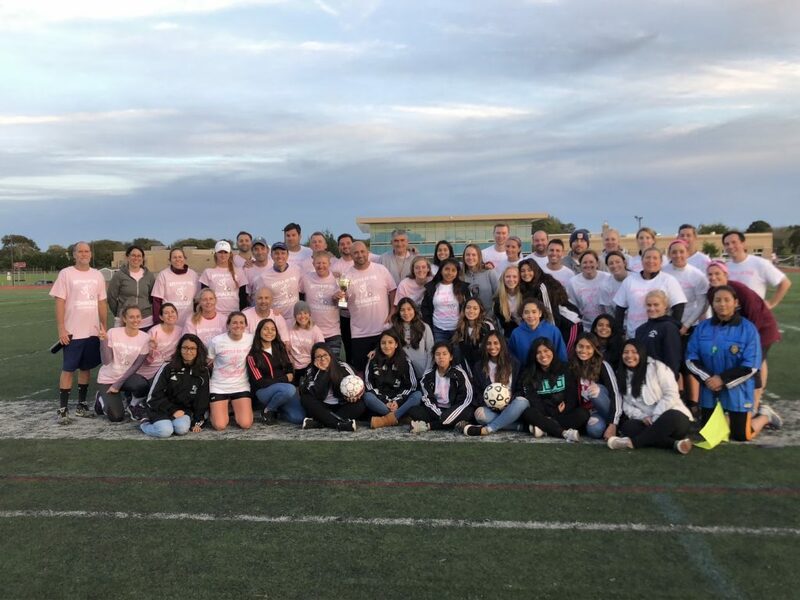 For the past ten years, high school girls soccer teams across Suffolk County have come together with the pledge to raise money towards “Kicking Out” Cancer. 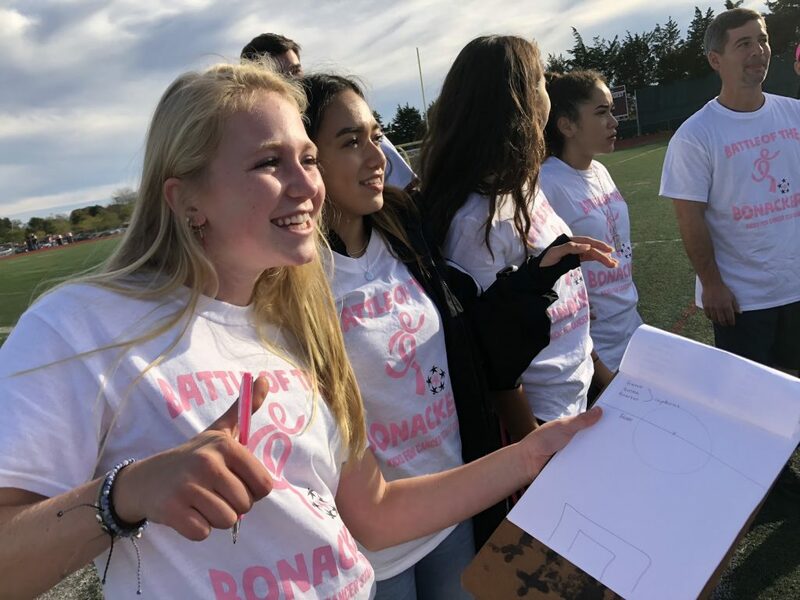 Each team is responsible for their own fundraising efforts, and this year, our Girls Varsity and JV Soccer Teams decided to put together a charity soccer game pitting staff members from our district against one another in the ¨Battle of the Bonackers¨. 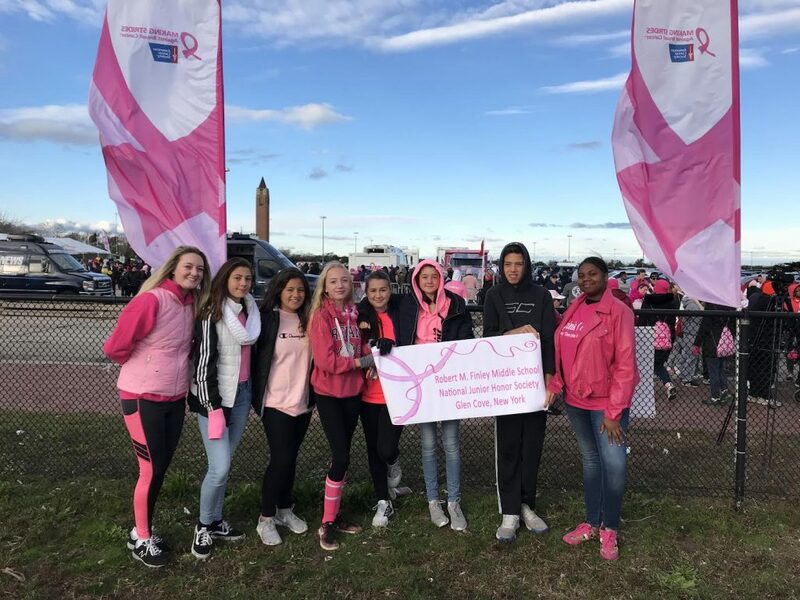 Last year our girls’ soccer team raised $750 that we donated. This year, we more than doubled it after our staff soccer game, bringing in almost $1700! 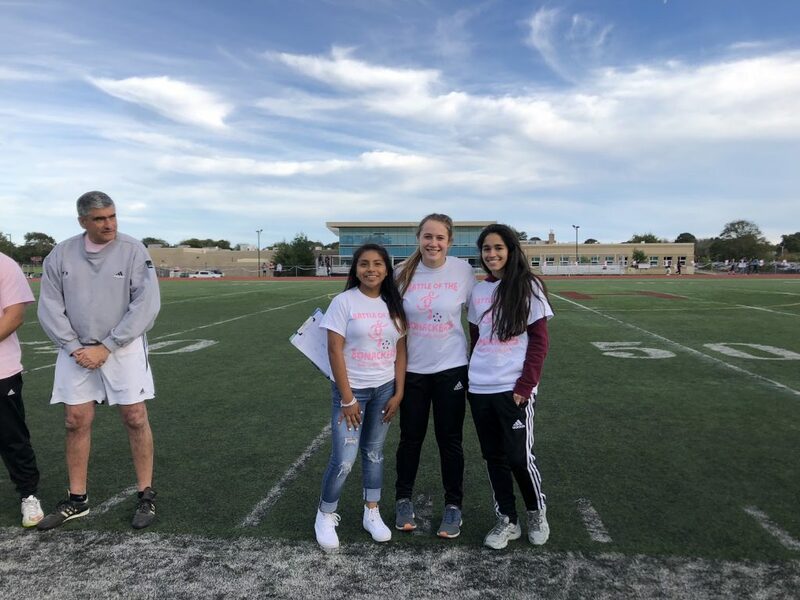 We had a great turnout of students and community members who came out to support a wonderful cause and cheer on their teachers on the soccer field. We had almost 40 staff members from the elementary school, middle school, and high school volunteer to play. Some had played in high school or college, while others had never kicked a soccer ball before! It wasn’t about being soccer players, but just about having fun while supporting a wonderful cause! 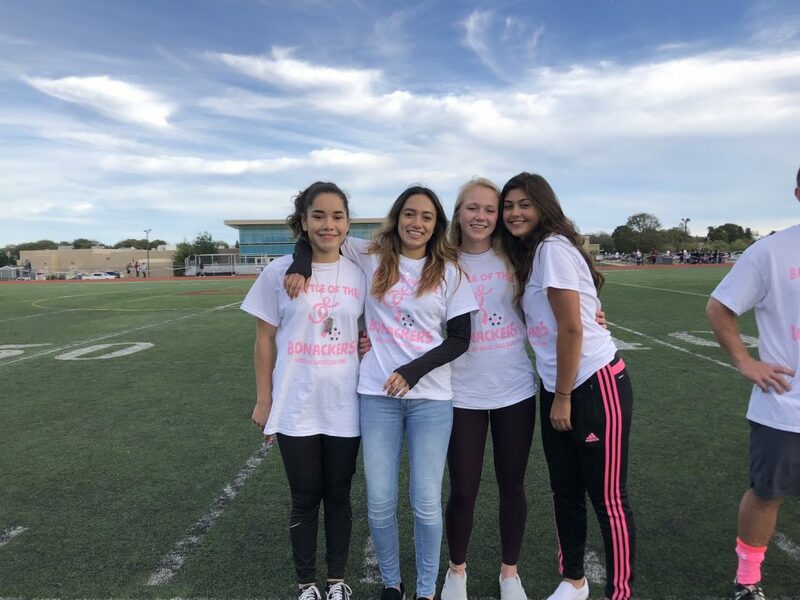 I was so proud of my soccer players and their efforts to support such a wonderful cause. 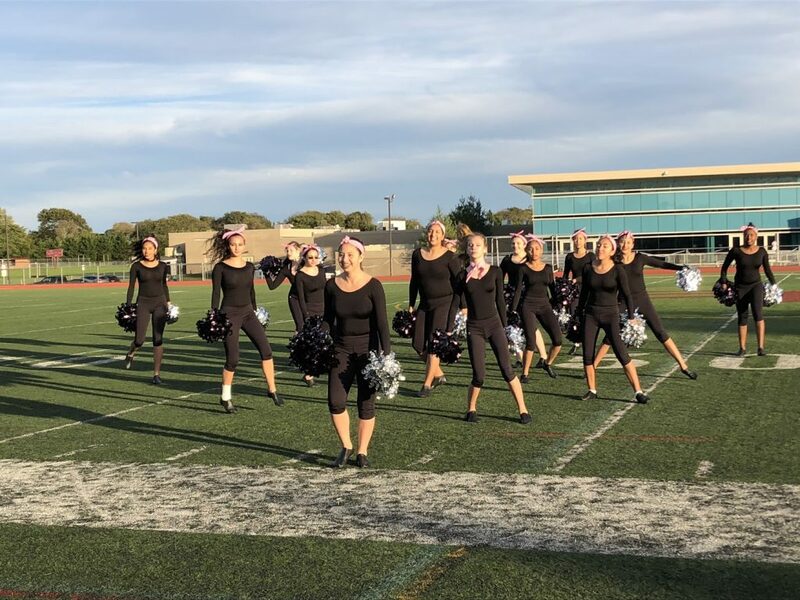 It’s always great to see people come together to do good, especially when you can connect the student-body, staff, and community members together for charitable efforts.